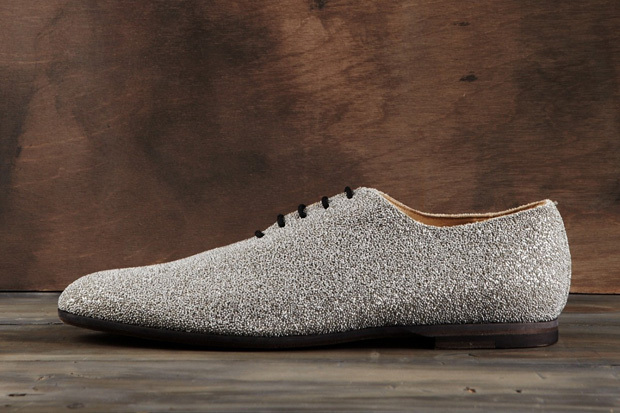 Check out this lovely, which is part of the Acne for Spring/Summer 2011 collection. Known as the Mission Bead shoe, the kicks have a rounded toe, wooden stacked heel and sleek leather sole, this lace-up shoe features a leather upper encrusted with tiny metallic beads. Such style doesn't come cheap, but you can purchase a pair online at Acne for $620 USD.